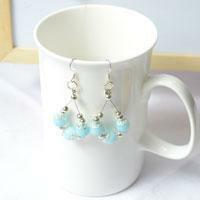 I will show you how to make dangle earrings with chains of flower pattern and beads in Tibetan style. Hope you can enjoy it. 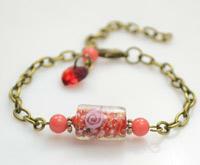 Here this tutorial is to show you how to make bronze chain bracelet with red jade and lampwork beads within 20 minutes. 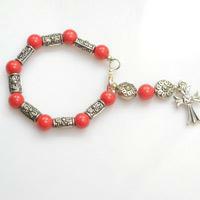 This tutorial will guide you to make a delicate rosary bracelet with cherry red natural jade beads. Enjoy this quick craft tutorial. 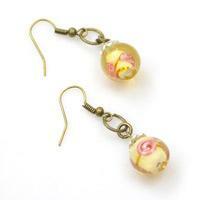 You will learn to make a lovely pair of lampwork bead earrings in this short tutorial. I bet you will enjoy the lampwork dangles. 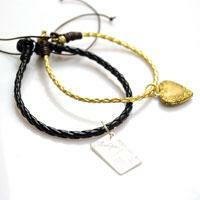 This is an easy craft that shows the way making pair of matching leather bracelets for couples. Only 2 lengths of leather cord, 2 alloy pendants and 2 jumprings required! 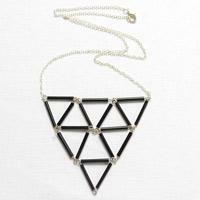 How to make a statement necklace with a very thin chain? 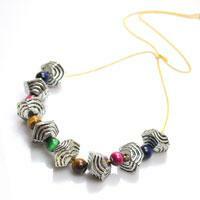 Here, even the beginners can do it instantly by following this easy-to-do long chain necklace design. This tutorial aims at tutoring you the simplest way to make hoop earrings with dark blue wood beads and hot pink acrylic beads step by step! 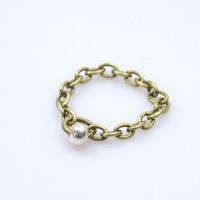 With bronze chain and seed beads you can make many dainty knuckle rings. They are nice-looking and simple to make! When we think about mobile phone accessories, the mobile chain comes to our mind first. 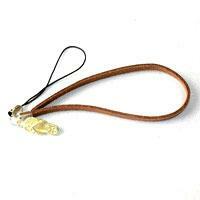 In this tutorial, we want to tell you how to make a leather mobile chain. This is a great design of fashion earrings for girls, with the help of our guidance; you will know how to make your own earring. 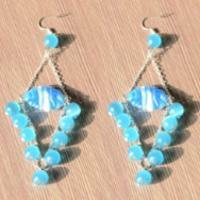 All of you can make an earring handmade design by yourselves. 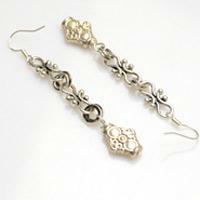 You can send this elegant earring design to your friends of wear it yourself. Sliding knot bracelet can be suitable for different sizes of wrist. The size of the bracelet can be adjusted. Do you want to have this sliding knot bracelet? 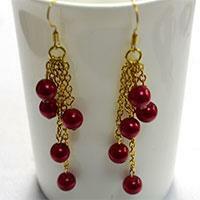 In this tutorial, we will make red pearl dangle earrings with dazzling red pearl beads. Do you have interest to make a pair? It won’t let you down. 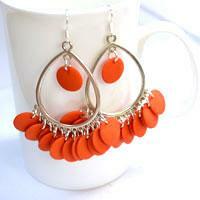 People love chandelier earrings. They make us look elegant. The purpose of this tutorial is to teach you how to make big chandelier earrings. 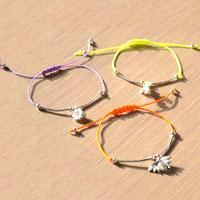 Wanna to make a simple diy string bracelet in a short time? 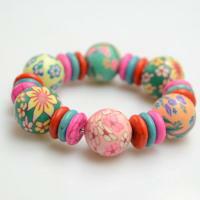 Here we will provide you an easy way to make string bracelet. 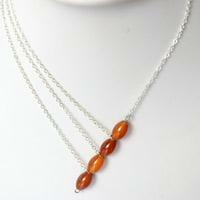 Carnelian necklace looks so elegant which is very suitable for some important and formal occasions. 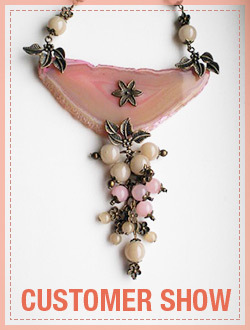 Do you want a carnelian necklace? Now, you can make one by yourself with our instruction. Leather looks so cool and man love it. 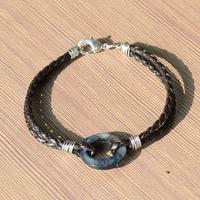 This tutorial will teach you how to make black leather bracelets for men. You can have look if you also like leather crafts.